July has been a good month for reading - 12 books finished! Probably because I took a week off from the day job. I did a few projects around the house: replaced dryer vent, mailbox, and bathroom faucet. But then I hung out with my niece, spent time in the pool, and read. The above picture is of the fun stuff I found in the mailbox this month. 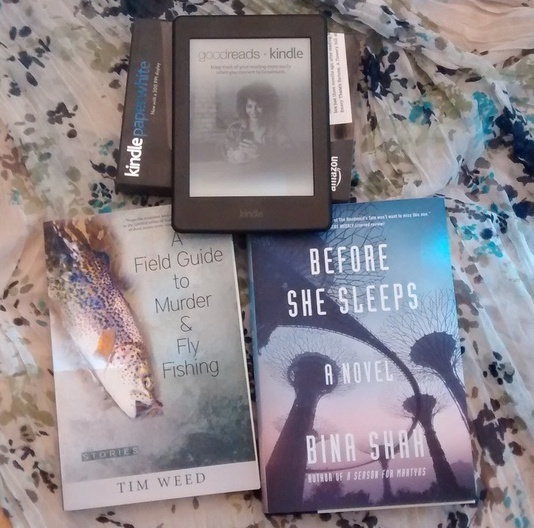 I took advantage of a great Prime Day deal to get a Kindle to replace my now non-supported 1st generation Nook. I tried the Nook Glowlight 3 that B&N was offering a great deal on for those who would be affected when they took the 1st generation Nook offline, but it just didn't work for me and was just way too frustrating. I'm very happy with my Kindle Paperwhite. Amazon affiliatse links are used on this site. 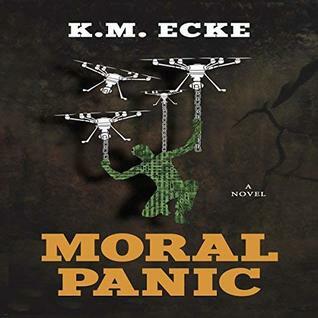 I was interested in this book as a possibility for the post-apocalyptic book club I attend. We have a loose definition for the genre. 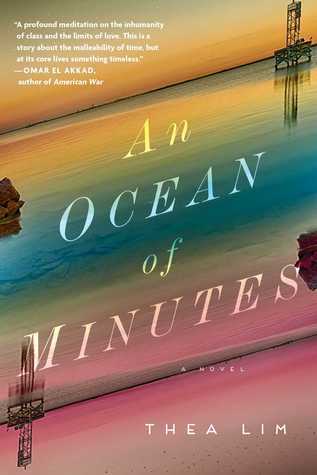 This is not your typical time-traveling sci-fi novel. 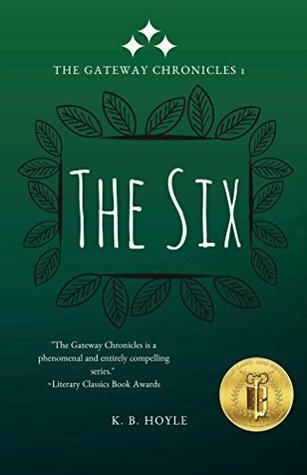 I really liked the character-driven story and we are reading it for our April meeting. I got it from Netgalley.com. Read my full review. I love this series. Even after 18 books, I can't wait for the next one. I got a free copy from the author. Read my full review. I have read this book at least 3 times and I still stay up late to keep reading. The series is being re-released this summer with a few updates to the story. I didn't notice too much of difference in this one, but it was still fun to go to camp with these kids. The author provided a free copy. Read my full review. I discovered this series last summer when I read book 11. I've spent the past year reading through the series to catch up. I really liked this installment. It was almost totally focused on Georgie solving the mystery. She really comes into her own. I'm looking forward to what life with Darcy is like. I received a copy from Netgalley.com. My review will post on August 7. I know I was supposed to be reading Infidelity, but once I start this series it is really hard to set it aside. I didn't cry this time around, but I'm anxious to return to Alitheia and rescue Yahto Veli. I received a free copy from the author. Read my full review. There is a cost associated with every petition, too, and it is a cost far greater than Darcy ever imagined. 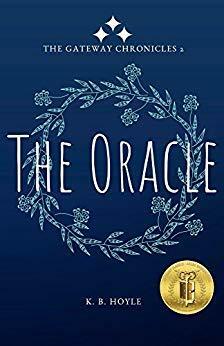 The only way to be free of the deadly call of the Oracle is for the petitioner to pay. Every time I went to book club, I would check out one of the books in the series. I missed a couple of meetings so I still had two books to read before the newest one came out. 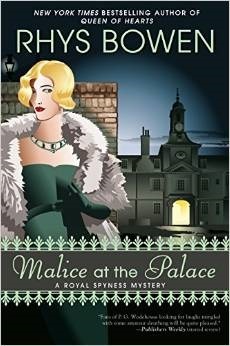 This one is fun and I enjoyed seeing Darcy and Georgie together. This collection of short stories has been on my review shelf way too long. It was so good. I don't usually like short stories, but I loved these. I received a free copy from the publisher. Read my full review. 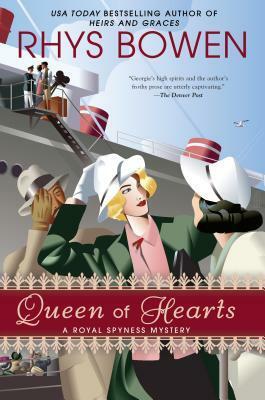 I really enjoy this cozy mystery series. And now that I'm all caught up, I guess I will have to wait a year for more. I checked it out of the library. I read this as part of PBS's Great American Read. I hadn't read it before but felt that maybe I should. It read much more quickly than I expected, which is a good thing. Borrowed a copy. Read the rest of my thoughts and some interesting tidbits I learned. This was an interesting, short audiobook. It is also kind scary in the sense that it could really happen. I received a free audiobook from the author. Read my full review. But when a series of off-the-record comments are published by the click-bait media, Tanner’s fall from grace is swift and brutal. Kidnapped by a mysterious vigilante secret police with unknown intentions, Tanner must navigate an underground world of violent zealots and mental manipulation to find the truth within a cage of distortion. After reading Susan's review of the series, and noticing that Prime members could read and listen to book 1 free, I decided to give it a try. Overall, I enjoyed the book. It was a great audiobook. This is what my post-apocalyptic book club is reading for its August 2 meeting. I love the television show NCIS and I enjoy time-travel novels, so I was optimistic about this one. I enjoyed it, but if I tried to think too hard I would confuse myself. I haven't been so confused by time travel since the time turners in Harry Potter and the Prisoner of Azkaban. I received a free audiobook from Audible. I've just started this book so I don't have any opinions. I'm shooting to have it done by its release date of August 14. The author sent me a free copy. It is estimated that an alarming four out of five married couples experience infidelity. Growing up with a mother and grandmother who painfully accepted the existence of their respective husbands’ mistresses, Ann Pearlman set out to beat the odds. She embarked on a career as a therapist who helped hundreds of unhappily married patients build new lives. She also found a husband with whom she felt secure. But after thirty years of rewarding marriage and parenthood, she discovered that her husband was having an affair with one of his art students. Infidelity is the moving account of her shattered trust, and the women in her family who endured similar wounds in the radically different climate of America before 1960. 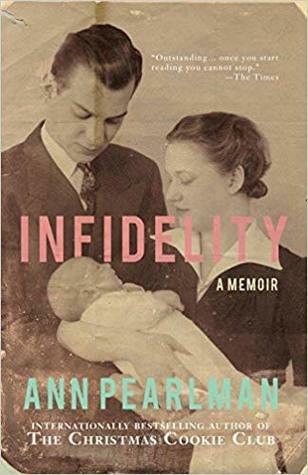 Written in precisely drawn, vivid scenes, Infidelity traces Pearlman’s first understanding of unfaithfulness through her father. A gifted and intelligent man, he took the time to explain Freud’s theories to her during dinner, a meal often served late because of his after-work trysts. Falling in love with Ty, an African American football player and artist, she basked in a strong marriage that even shrugged off interracial bias and inspired her to write a book on how to foster vitality in a marriage. Yet as her own unraveled, she arrived at a turning point that would test everything she had taught and believed. Compelling reading for men and women alike, Infidelity is an eye-opening testament to commitments made and broken, and the experience of matrimony across three very different yet strikingly connected lifetimes. This post is linked with Book Date's It's Monday! What are your reading?, Stacking the Shelves at Tynga's reviews, Mailbox Monday, and Feed Your Fiction Addiction's Monthly Wrap-up Round-up. So many tempting books! 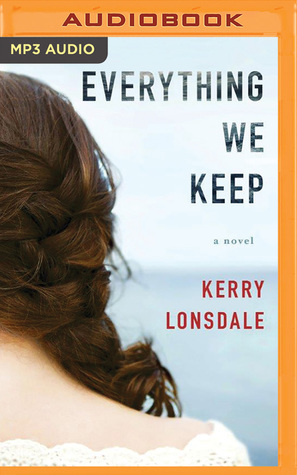 I have a copy of Everything We Keep...it looks like I should read it! 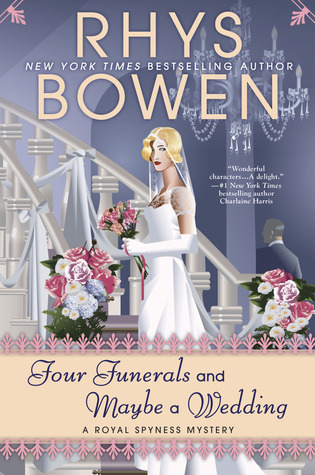 I've also been eyeing Rhys Bowen's books. What a great variety of books! I got a new Kindle too but just went with the basic one. I'm a little disappointed at the battery length but will just have to get used to charging it more often than my old one. Come see my week here. Happy reading! I really wanted to the built in light which is why I went with the Paperwhite. With the way the trees are around my house it will be bright and then suddenly dark in the house and I hate to interrupt my reading to turn on more lights. lol. A field guide to murder and flyfishing made me laugh. I'll have to look at that one a little more closely. I won that one at Goodreads. It seems to be a theme for me lately as I just read The Feather Thief this spring. It's about a bird heist and Victorian fly fish tying. I see you are a fan of Rhys Bowen. Enjoy her marvelous books! 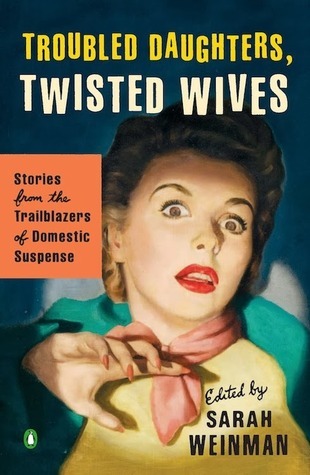 Troubled Daughters, Twisted Wives looks great too! 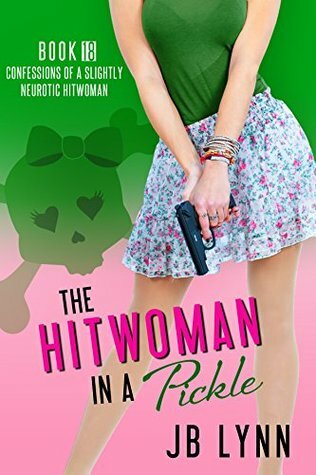 I'm unfamiliar with the hitwoman series by JB Lynn, but it sounds like my type of book. The only problem is 18! Why do I always seem to come across series with so many to catch up on? They are quick reads. I'm a slow reader and I can usually finish them in a couple of days. What great progress this month! I'm hoping to read Catcher in the Rye soon. Great job reading 11 books! Taking time off work definitely helps!! Good reading month! I am still nursing my Gen2 Kindle although I have a Fire as a back-up. I have been eyeing The Gone World. Thanks for linking at MM. Hope this is another good month of reading for you! My Nook was limping along - I had to remember to charge it every day. So I was already planning to get a back-up kindle around Christmas. Prime Day just pushed up the plan. 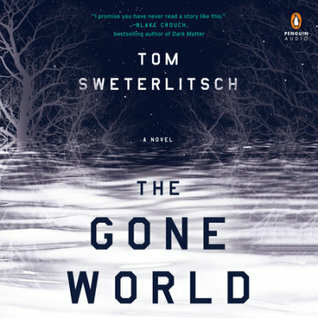 The Gone World was good, but I think I would have enjoyed it more if I had read it instead of listening to it. I love the variety of books! I keep seeing Everything We Keep on my amazon page so I'm tempted to give it a try. I'm glad you enjoyed the audiobook, so I may check that out. I hope you have a wonderful August. Oo I'd not heard of Lynn's series. Sounds fun! It's awesome when so many books in and it's still good. Catcher in the Rye was one of my favorite books when I was a teenager. Looks like you had some good reads in July! I haven't even read Catcher in the Rye, but now that I've read the synopsis, I'm going to find it as I missed out on a great book. 12 books is amazing and congrats on reading so much. Hope you've been enjoying your new Kindle! Catcher in the Rye was a favorite of mine when I was in school. My daughter is reading it in school this year, and I'm eager to see how she likes it. 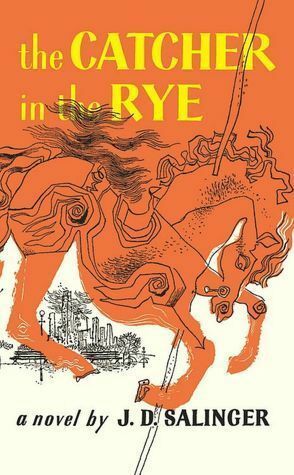 I love Catcher in the Rye - such a classic. Hope your August was as good as July!